Labrador, Retriever, German Shepherd, Poodle, Beagle, or Yorkshire Terrier. No matter what your favorite breed is, a great dog is sure to become a cherished member of the family. Pair your pooch with the perfect inspirational dog quote.  A Madman's Diary (1895).  Troylus and Crysede, III. 764. Dogs can see fun in things as well as people can. You can't do too much for dogs, and all you do for them they will repay you a hundredfold. So, good news - I saw a dog today. Have you seen a dog? You probably have. 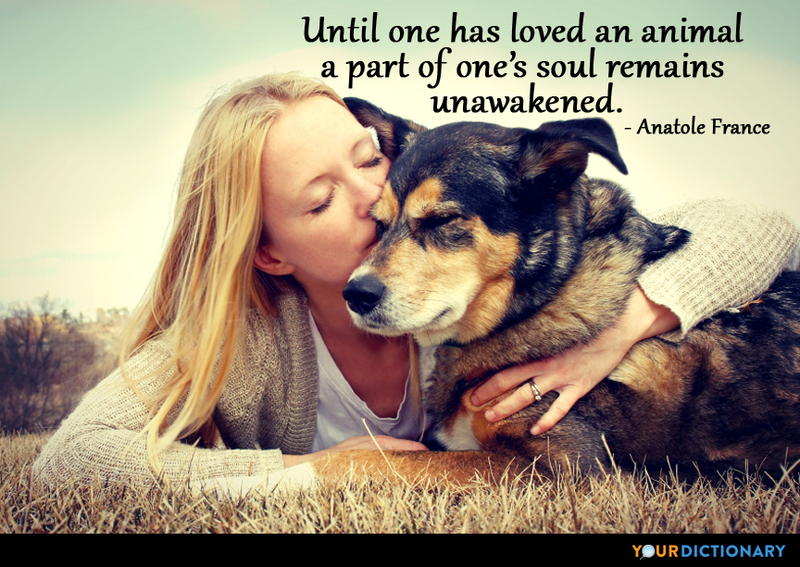 Of all the members of the animal kingdom, dogs seem to hold a special place in our hearts. They're cute, cuddly, full of personality, and highly intelligent. What's not to love? Happiness and friendship make regular appearances in the most famous dog quotes. 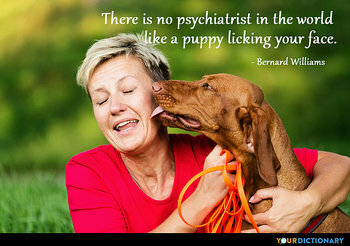 Popular sayings remind us that dogs are man's best friend and how it's impossible to be sad when you've got a puppy playfully licking your face. As human beings, we're primed to seek out love and affection in all forms—even when it comes from a four-legged friend who can't wait to play fetch! 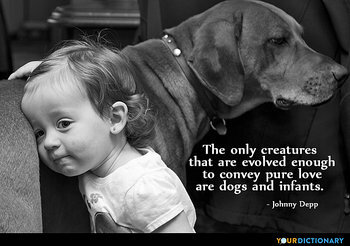 Loyalty and faithfulness are also common themes in quotes about dogs. Throughout history, people have praised dogs as the most devoted of all pets. While cats are fiercely independent and often seem indifferent to your affections, dogs believe their master is the center of the universe. The 1950's hit TV series Lassie plays up this stereotype, showcasing the adventures of a heroic and fearless Collie as she helps and protects her human companions. 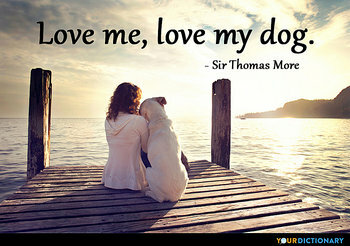 Whether you're searching for a quote to honor your new puppy in a scrapbook page or wish to pay tribute to a pet who has recently departed, YourDictionary’s selection of dog quotations can help you find just the right words to describe the special bond you share with your canine companion.